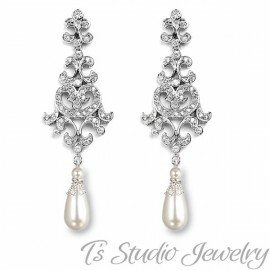 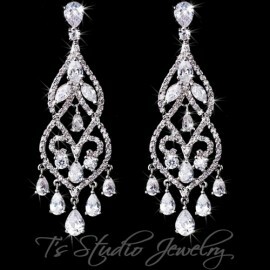 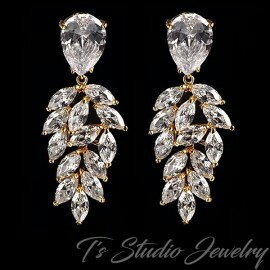 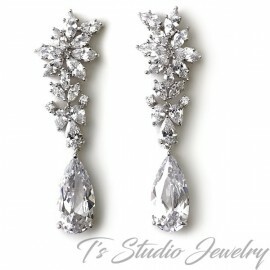 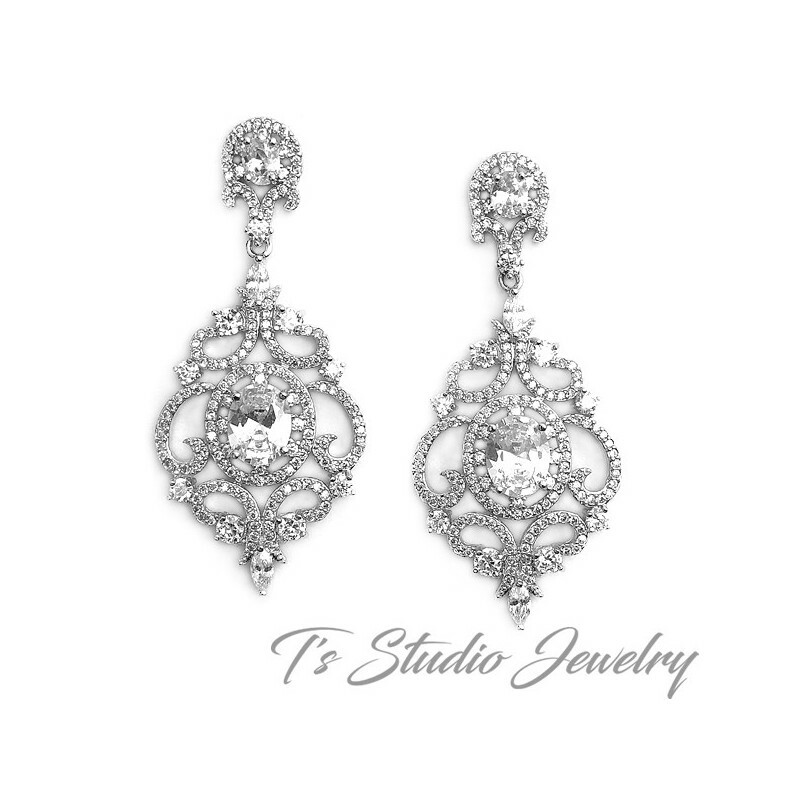 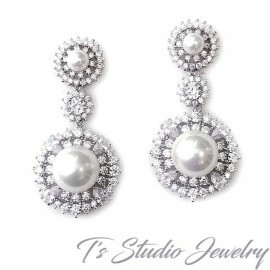 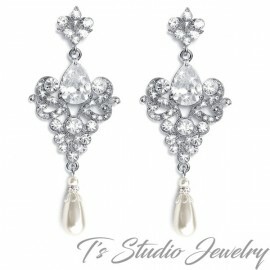 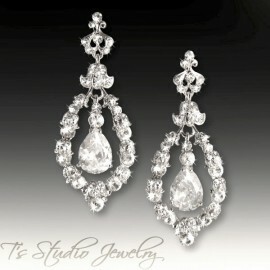 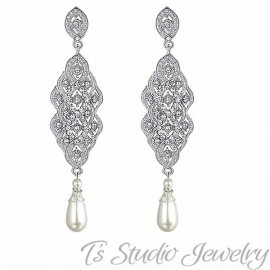 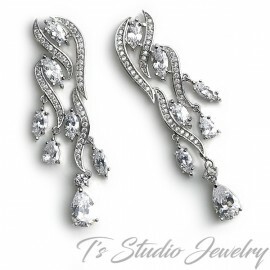 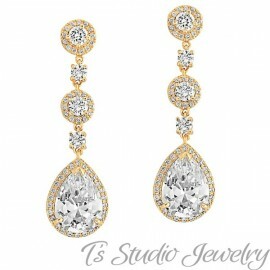 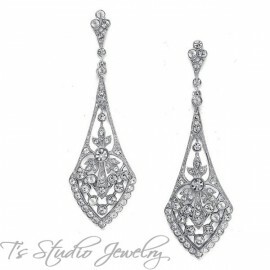 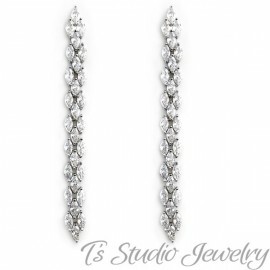 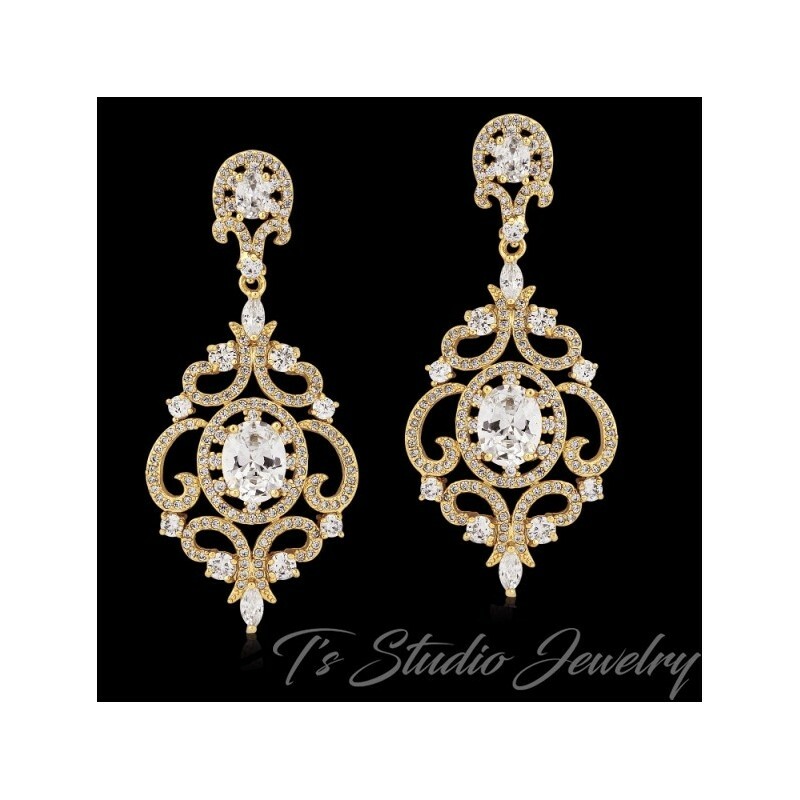 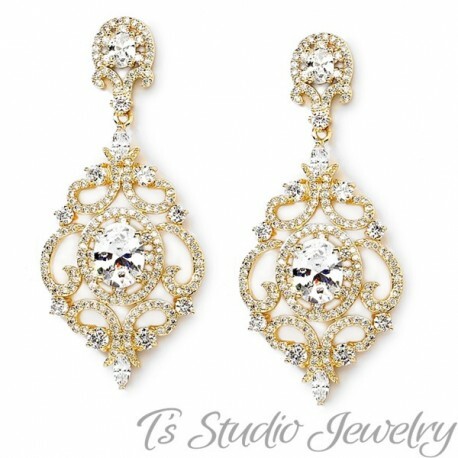 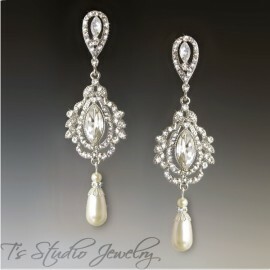 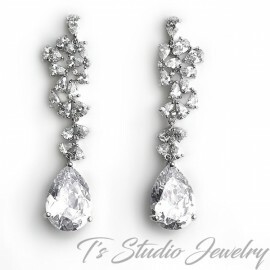 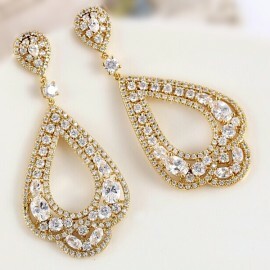 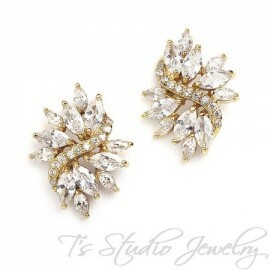 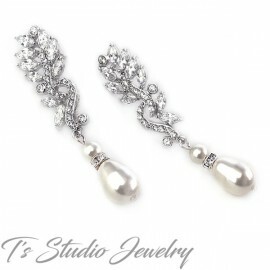 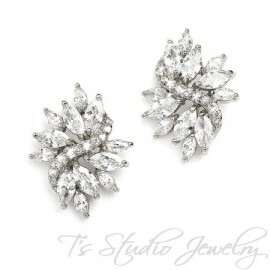 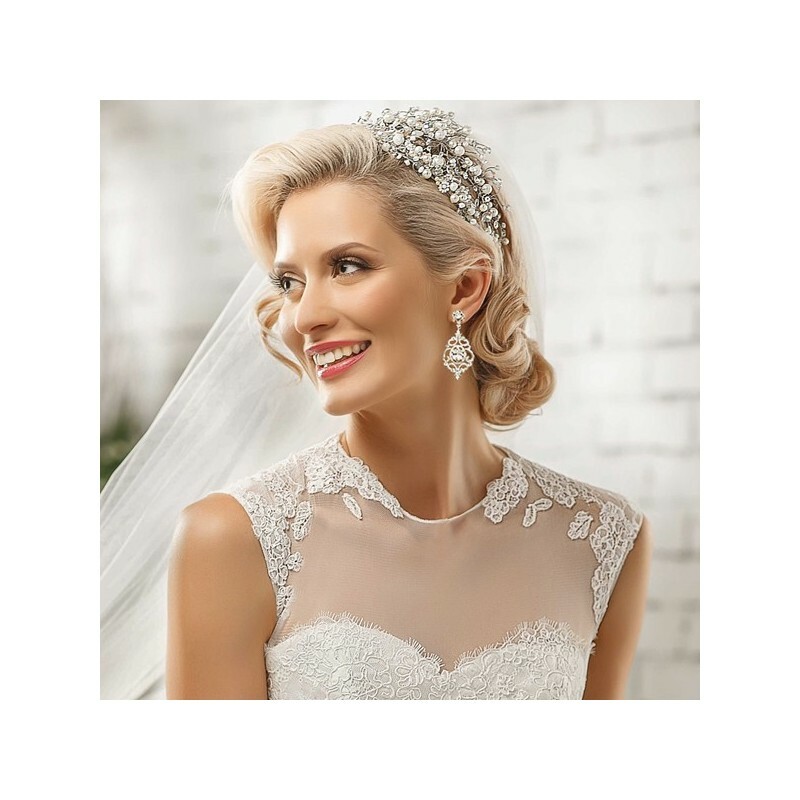 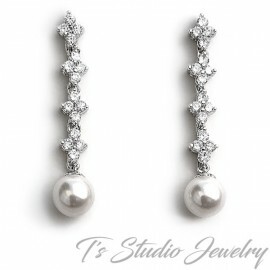 These earrings are so elegant! 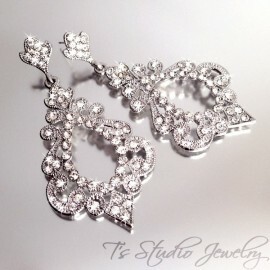 The perfect accessory for any wedding or special occasion. 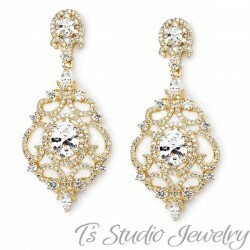 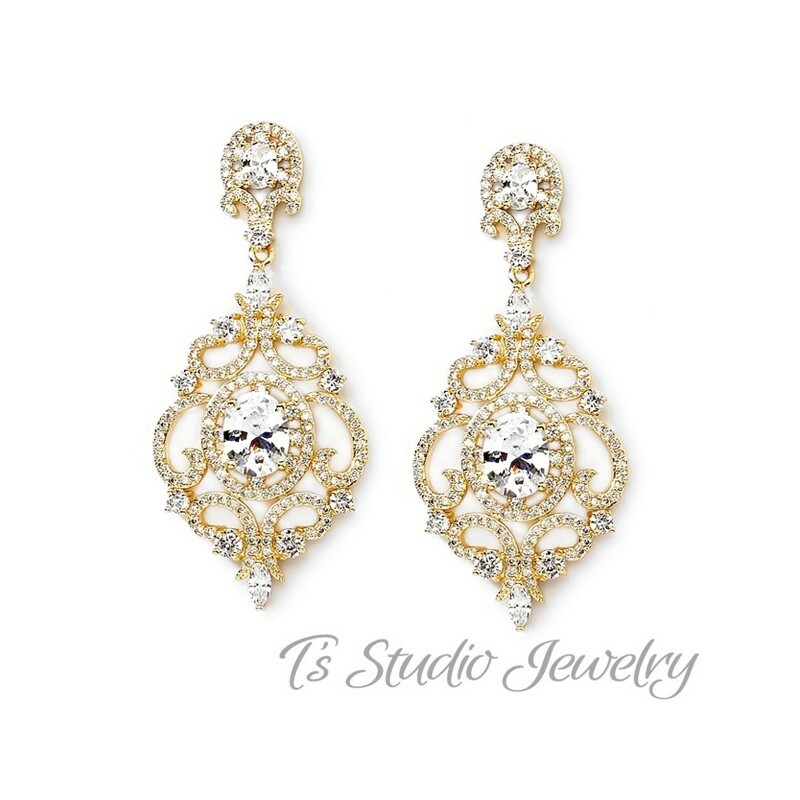 A gold plated base is encrusted with several cubic zirconia stones in a pave style design. 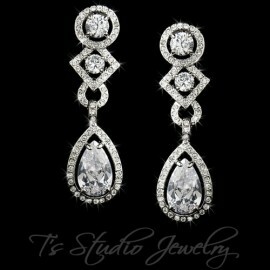 A large oval shaped CZ stone adorns the center.